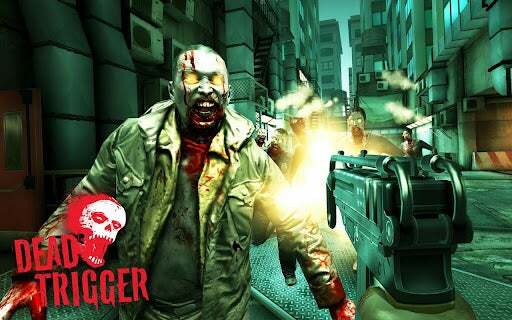 Zombie-shooter Dead Trigger is now free for Android users. The reason: rampant piracy. Dead Trigger for Android previously cost $0.99 for the base game--the same price as the iOS version. However, according to a Facebook post by developer Madfinger, Android piracy is "unbelievably high." Instead of charging $0.99 for the game, Madfinger will rely solely on in-app purchases for revenue from the Android version. In its Facebook statement, Madfinger notes that the in-app purchases from which it will make its revenue are not required--the game is free-to-play. Madfinger is hardly the first Android app developer to complain about the platform's piracy problem. Earlier this year, Football Manager developer Miles Jacobson said the piracy rate for his game was 9 to 1, and "the worst I've seen in my career in games." Because Android users are allowed to install apps from outside the Google Play Store without hacking their devices, Jacobson speculated that the barrier to piracy is lower compared to iOS. Google offers a license verification service to protect against piracy, but these measures can be circumvented by distributors of pirated apps, as Android Police reported in 2010. If the outcome of Android piracy is more free apps, that may not seem like such bad news. The problem is that developers of high-quality, premium-priced games may be scared off by illegal downloads. Epic Games, the makers of the popular iOS game Infinity Blade, said they've hesitated to release an Android version because of the piracy problem. And you can be sure that Madfinger won't many any more paid apps like Shadowgun, its previous game, which was well-worth the money. Without alternatives to ad-supported or free-to-play games, the overall quality of the Android platform suffers. The free download of Dead Trigger is bittersweet at best.